One of my all-time favorite things to photograph is talented makers in their creative spaces. 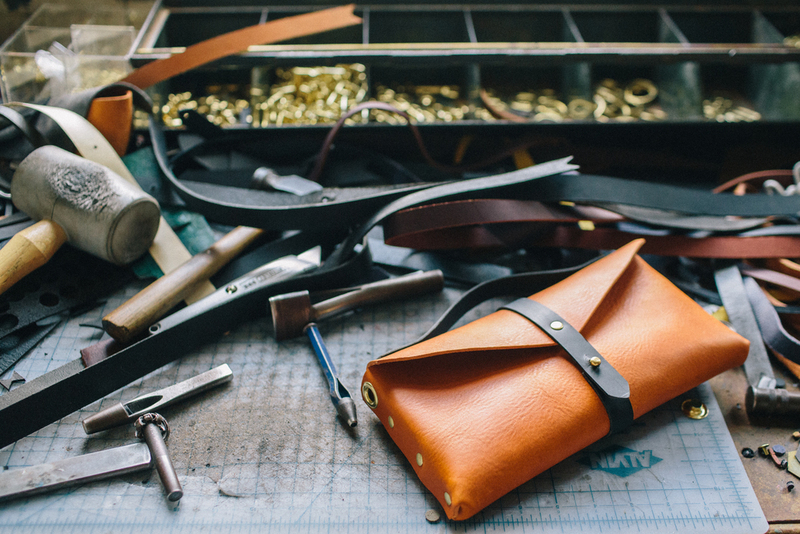 Meet Ryan Greer, owner of Flux Productions and maker of beautiful, handmade leather bags, based in Fort Greene, Brooklyn. Not only did I get to tour his little haven, I also got to see him in the process of making some bags! All of these images were shot for Ryan's Animoto video. Very thankful for the opportunity and be sure to check out his Etsy shop.